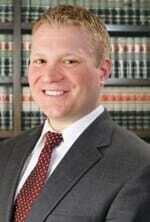 Brian is an associate in the firm’s Business & Corporate Transactions and Real Estate practice groups. Brian’s practice focuses on business and corporate transactional matters, including entity formation, corporate restructuring, negotiating and drafting shareholder, partnership, and membership agreements, negotiating and drafting asset purchase agreements and other documents related to mergers & acquisitions, and general counseling relative to business operating activities and contractual disputes. He also routinely acts as general outside counsel to privately-held small to mid-size businesses in varying industries, advising on day-to-day operational matters including employment issues, conflict resolution, policy implementation, and sales and service agreements. Brian’s real estate-related work includes advising clients on business-related real estate transactions, including commercial lease agreements, lease assignments, land use and development, and acquisition and disposition of real property in connection with the sale of businesses. He also assists clients with complex corporate and limited partnership restructurings in connection with refinancing. Brian obtained his juris doctor from the Duquesne University School of Law where he was a member of the Duquesne Law Review and Moot Court Team. Brian furthered served as a Teacher’s Assistant in the Legal Research and Writing program and received the CALI Excellence for the Future for earning the highest grade in Business Planning (2010), Securities Regulation (2009), and Legal Research and Writing (2008). Brian is licensed in Pennsylvania and admitted to practice before the United States District Court for the Western District of Pennsylvania. He was recognized as a 2018 “Pennsylvania Rising Star” in the field of Business/Corporate law by Pennsylvania Super Lawyers Magazine.